From time to time shade sails may need repair or maintenance. 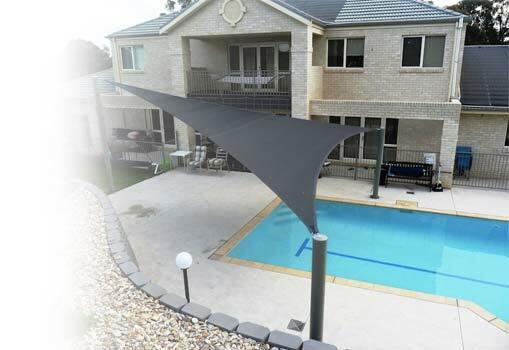 Sydney Shade Sails may need to retension your shade sail after many years of harsh weather. There is nothing worse than a saggy sail flapping, and often this is an easy fix. Shade sails can also benefit from being cleaned over the years, especially if they have been installed to stop leaves falling on an area. We offer a shade sail cleaning service for when this isn’t enough and you want it looking new again. We offer yearly maintenance programs so your shade sail is keep in optimal shape. We can retensioned your shade sail, perform minor shade cloth repairs. We offer best shade sails repairs in Sydney, and it’s easy to contact us for your regular maintenance. Our friendly and professional staff visit onsite and assess the damage. We will walk you through the repair process and ensure you have an understanding of what has to happen. If the shade sail needs a resew we repair the your shade sail using thread with a life long guarantee. Our fabricator will repair your shade sail at Peakhurst and our Technicians reinstall the sail quickly and efficiently. Occasionally, after severe storms shade sails need to be replaced. At Sydney Shade Sails, we use thread with a life time warranty. This has exceptionally high resistance against UV light, meaning we offer a lifetime warranty on all our stitching. Not all shade sails are made using this thread. Sails made with UV resistant thread has a limited lifetime, meaning that sometimes the stitching comes undone before the sail is ten years old. We offer a restitching repair service, using our thread ensuring the stitching won’t come undone again. Have more questions about our shade sails repair services? Contact us and our friendly staff will be more than happy to answer all your questions.